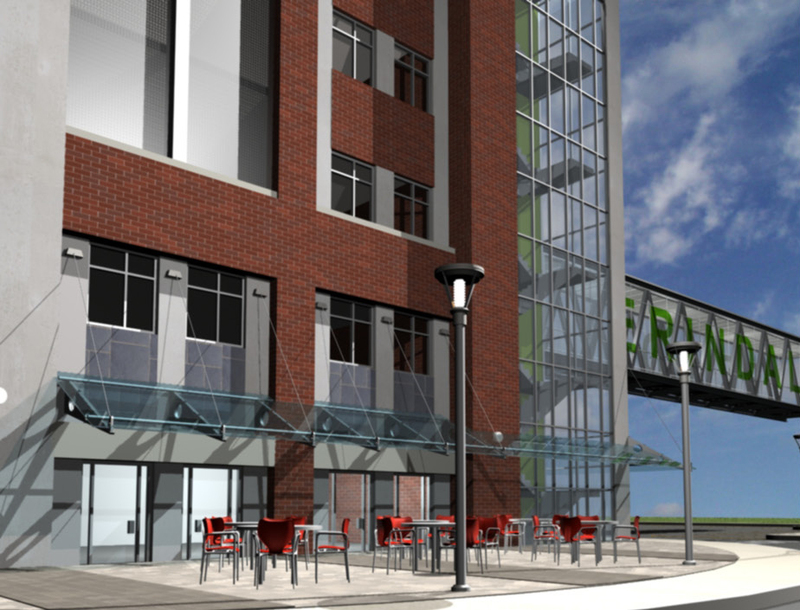 GO Transit: Erindale Parking Structure - Strasman Architects Inc. 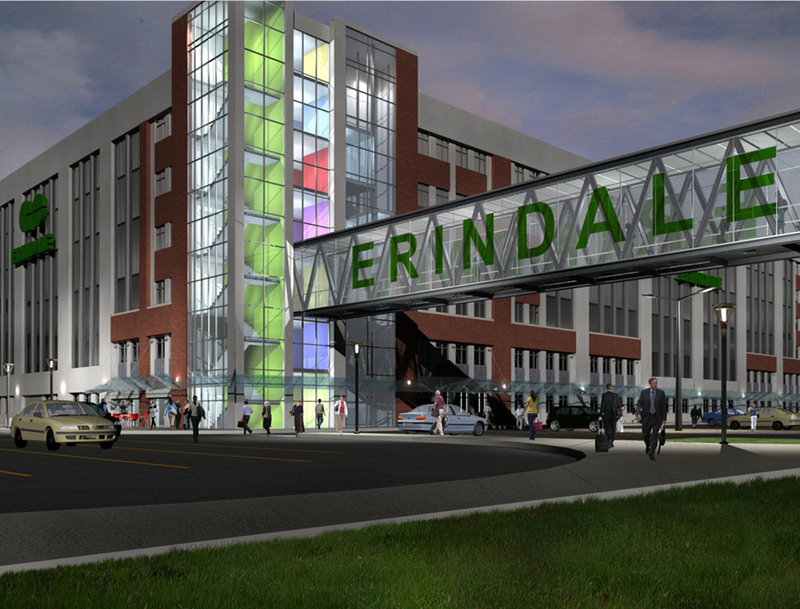 The project is a design build proposal for a 495,150 sf, six storey, open air parking structure designed to accommodate 1445 cars at the existing Erindale GO Station. The parking structure was to command a significant presence on the site and the design of the exterior façade was developed to address the concerns of the surrounding community and meet the objectives of the City of Mississauga and other jurisdictions having authority. 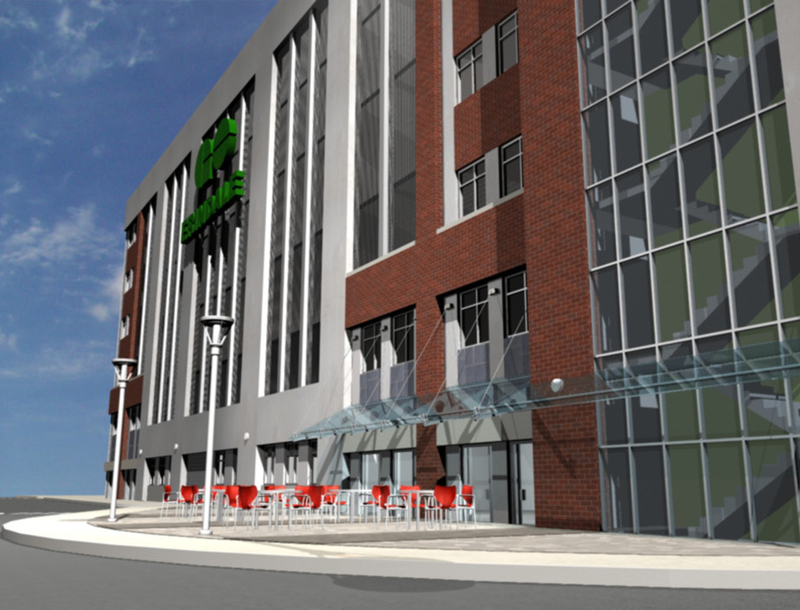 The exterior building elevations were designed to achieve a ‘residential’ architectural character, allowing the structure’s exterior to harmoniously compliment the surrounding mixed-use neighbourhood. Patron experience, passenger safety and comfort were all of the utmost importance during the development of the design. A pattern of brick and concrete piers have been aligned to express the internal grid system on the structure’s façade. Punched window openings with decorative frames were grouped in pairs and spaced with a vertical precast concrete panel between each window. A secondary layer of precast concrete piers is situated between the pairs of window openings to emphasize the vertical rhythm of the façade in an effort to counteract the banal horizontal form commonly associated with multi-level parking structures. The massing of the structure is stepped back from Burnhamthorpe Road to reduce the scale of the project when viewed from the street. The proposed precast structural system allowed for increased structural spans and column spacing thereby reducing the number of structural columns. The structural system is reflected on all re-proportioned exterior elevations. 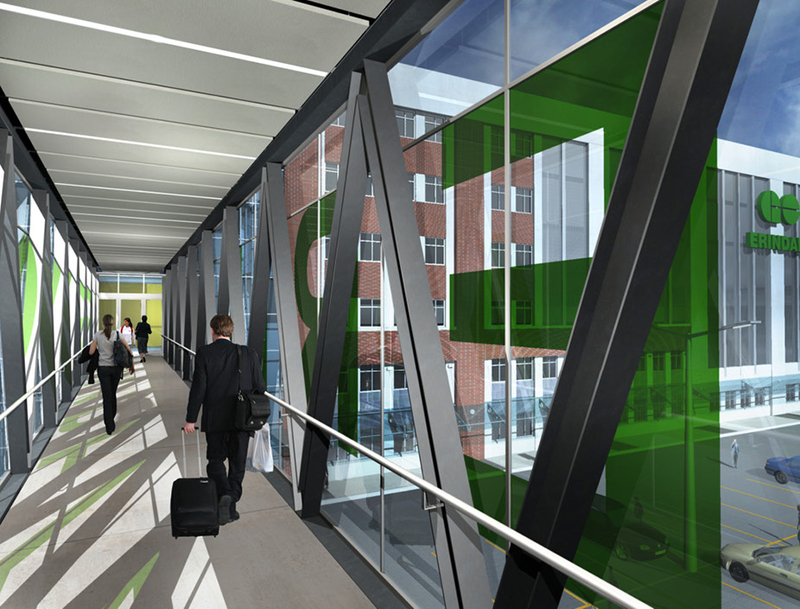 Feature paint colours were proposed for the interior of the parkade to distinguish areas of travel and improve patron experience. Pedestrian walkways and vehicle flow was identified through clearly visible markings on the floors. Pedestrian walkways were located outside automobile circulation routes. Visual obstructions within the structure were minimized to improve visual surveillance and provide an increased sense of safety within the parking structure. Openings in shear walls were maximized to allow for the visual interaction between pedestrians and cars. Glazed elevator cabs, hoistways, vestibules, and stair shafts facilitated natural surveillance in accordance with the principles of CPTED. The glazed canopy and bridge structure provided covered pedestrian routes, effectively linking the parking structure to the existing station entrance and the train platforms.